While in Monrovia last month I met with Tom Kamara, the Managing Editor of the New Democrat, one of Liberia’s best known and independent newspapers. When we separated we agreed to meet again in the Netherlands, in June. However, we would never meet again. While travelling to the Netherlands last week, he suddenly collapsed at Brussels International Airport, went into coma and never recovered. On Friday, June 8 he was pronounced dead. He was 63 years old. 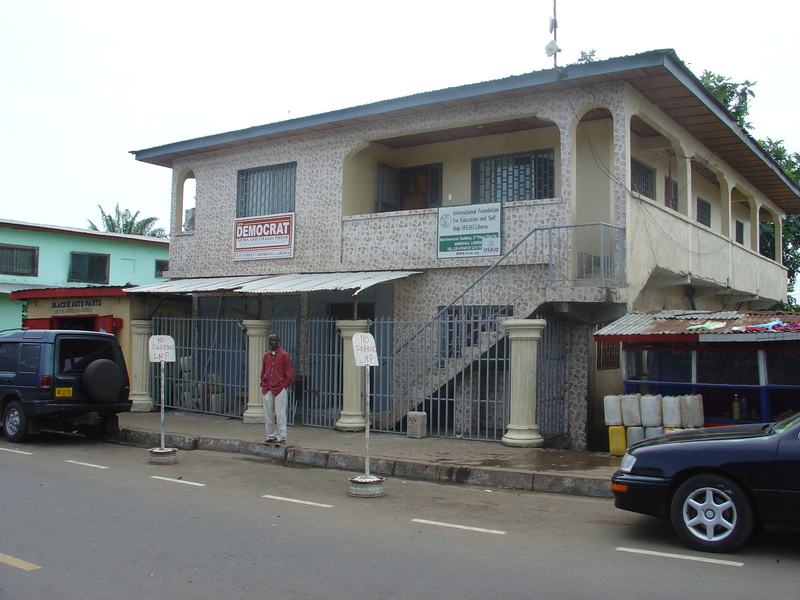 Tom Kamara was one of Liberia’s most outstanding journalists, independent, fearless, someone ‘who could not be bought’. He fought for freedom of the press, human rights, justice and democracy. His independent opinion and writings brought him into conflict with presidents, warlords and other powerful people. In the 1980s he was imprisoned by President Samuel Doe. In 1990 he was shot by warlord Prince Johnson. In the 1990s his newspaper offices were set on fire by Charles Taylor’s forces. More recent, he displeased President Ellen Johnson Sirleaf who even considered taking him to court. Tom Kamara was a Kissi from Lofa County, in northwestern Liberia. He was born in a small village called Sodu, in the Foya chiefdom, Lofa County, where he attended primary school. He obtained his secondary school education in Tubman High in Monrovia, followed by the University of Liberia in the 1970s. He started as a reporter with the Liberian Star, one of the main newspapers during the Administration of President Tolbert (1971-1980). In 1981 he returned to Liberia from the USA where he had studied journalism at the University of Texas and became the editor of the New Liberian. His criticism of Samuel Doe’s People’s Redemption Council and uncompromising writings led to his arrest but he managed to escape from prison of the National Security Agency, just hours before he was to be summarily executed by Doe’s henchmen during his transfer to the notorious Bella Yella prison. I remember the article in The New African, a leading magazine in those days, narrating his miraculous escape. Unfortunately I did not succeed in tracing an electronic version of this article. The orginal version is in one of the trunks filled with Liberia related stuff somewhere in my attic. 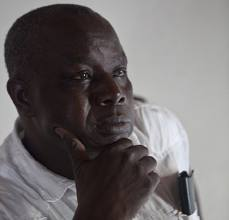 In 1985 Tom Kamara was in Accra/Ghana, where he, James Fromayan - the former NEC boss – and Charles Taylor were in close contact – four Liberian refugees living in the same place. The fourth person was Charles Taylor’s girl friend at that time ( ‘Agnes’). To avoid any misunderstanding: neither Tom nor James shared Taylor’s political ideas or were associated with his plans and undertakings. Charles Taylor had escaped from a US prison and arrived in Ghana with the help of Boima Fahnbulleh, a good friend of then Ghanaian president Jerry Rawlings. James Fromayan confirmed me this story and even gave me some additional interesting information when we met last month. It again shows a major characteristic of the Liberian political system: virtually all important actors know each other well. Tom later moved to the Netherlands, it is not known why and how. It is interesting to note that in the same period another major Liberian political player, Togba Nah Tipoteh, had been granted asylum in the Netherlands after he fled Liberia following the execution of the vice-chairman of the PRC, Thomas Weh-Syen in 1981. When the first civil war raged the country (1989-1996) Tom Kamara was at home. He was closely associated with the Interim Government of National Unity of Interim President Amos Sawyer, a close friend of his. In 1990 Tom, James Fromayan and some others were on Bushrod Island, near the Vai Bridge, when they met Prince Johnson, leader of the Independent National Patriottic Front of Liberia (INPFL) – one of the warring factions – who was moving towards downtown Monrovia. I was told this encounter last month by both James and Tom. Prince Johnson questioned them what they were doing in the area and wanted to kill them, but they managed to escape though Tom was badly wounded. He was shot in his leg. He would never completely recover. Immediate treatment in Monrovia was not successful due to the lack of qualified medical personnel. Tom was evacuated to the Netherlands for further medical treatment, but the damage caused by the lack of immediate effective medical treatment was irreparable. He was hospitalized for many months in the Netherlands, followed by a stay with Dutch friends for further recovery. During his stay in the Netherlands he made many friends and often returned to this country that he considered his second home. Back in Liberia he formed the New Democrat making the newspaper one of the most popular and most informative newspapers in Liberia. His independent writing and criticism brought him into conflict with Charles Taylor. Supporters of the warlord looted and burnt down the newspaper offices in 1996. After Charles Taylor had become president he continued to harrass Tom and his newspaper team. In 2000 the Taylor Administration even shut down the newspaper and Tom’s life was threatened. Tom again went into exile, first to Ghana then to the Netherlands where he started an online edition of his newspaper. In 2005 Tom and his wife Rachel returned home where Tom continued his work for more democracy, more justice and more press freedom. One would expect that during the Administration of President Ellen Johnson Sirleaf who strongly advocates freedom of the press Tom’ s work in Liberia would be smooth sailing. The reality is different. In 2010 the New Democrat’s website was brought down by hackers twice in one month time. The government brought multimillion dollar libel suits against the newspaper following reports on corruption by government officials. Even President Sirleaf once wanted to sue him, he told me in his Clay Street office on May 9, but he convinced her that he had used official sources for a publication that she disliked and the libel case was called off. Their relationship certainly was strained which though did not prevent him from contacting her occasionally by telephone, he emphasized. He was a true journalist, without any fear, independent, not ready for compromises and avoiding conflicts of interest. Yesterday, friends of Tom Kamara in the Netherlands held a memorial service at St. Andrews Cathedral in the southern town of Heerlen where he spent many years of his life. I will remember Tom Kamara as a great and independent journalist and an ardent defender of democracy, social justice, human rights and press freedom. His demise means that a great Liberian has moved from the present to the past. This entry was posted in Amos Sawyer, Bella Yella prison, Boima Fahnbulleh, Charles Taylor, Civil War(s) Liberia, Ellen Johnson Sirleaf, Famous Liberians, Fromayan, IGNU, INPFL, James Fromoyan, Justice, Kissi, Liberia, Liberian History, Press freedom in Liberia, Prince Y. Johnson, Samuel Kanyon Doe, The Liberian Star, The New Democrat, The New Liberian, Thomas Weh-Syen, Tipoteh, William R. Tolbert Jr.. Bookmark the permalink.